While arthritis in any of your joints is certainly painful, when this chronic condition affects your feet and ankles, you feel it with every single step you take. 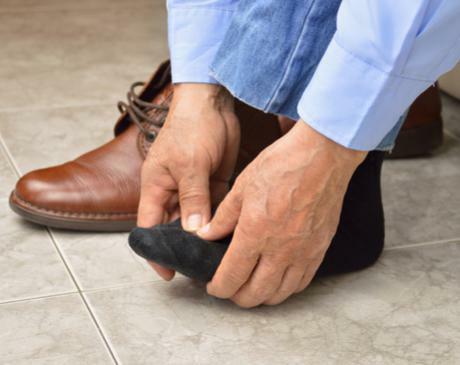 Before living another day with arthritic pain, see how the team of board-certified podiatrists at the Center for Podiatric Medicine can help. Book your arthritis evaluation online or call one of the three Illinois offices in the River North neighborhood of Chicago, Schaumburg, and Elmhurst, or the one other location in Highland, Indiana. Call or book an appointment online today. Because so many different types of arthritis exist — there are dozens more — you shouldn’t ignore your symptoms if you have joint pain and stiffness. With advancements in modern arthritis treatments, you can get fast and effective relief right away. You might even find that your joint feels warm, or that you develop skin changes over the affected joint, like rashes or growths. No cure exists for arthritis, so it’s important to have your condition evaluated and start treatment early on. The board-certified podiatry team at the Center for Podiatric Medicine can help relieve symptoms and delay the progression of arthritis. In most cases, combining these conservative arthritis treatments relieves inflammation and pain, and prevents severe flare-ups. If left untreated, arthritis of the foot and ankle can become so severe, you need surgery. The practice’s highly skilled foot and ankle surgeons can perform minimally invasive surgery to remove or repair arthritic tissue, or if needed, replace a joint entirely. Schedule your arthritis appointment at Center for Podiatric Medicine today. Click on the online scheduler or call any location to speak with a team member.